They are below on goal difference from Liverpool and above on goal difference from West Bromwich Albion. Man Utd are second on the table with 13 points. Southampton have won two games and drew two, scoring four goals and conceding four as well. Virgil Van Dijk could start his first game since January and Matt Targett is a doubt with injury. They have lost a record number of 24 times and is their worst against any team. They have failed to score in eight of their last 10 league games at home. Southampton have been winless in their last season against sides who have finished in the top six. They won their previous fixture in the league against Crystal Palace by 0-1. Man United have been in fine form since the start to their season. They have won four games, scoring sixteen goals and conceding just two in the league. They won their Carabao Cup third round fixture against Burton Albion by 4-1 and qualified to play in the fourth round against the Premier League side Swansea City. The Red Devils have no fresh injury. 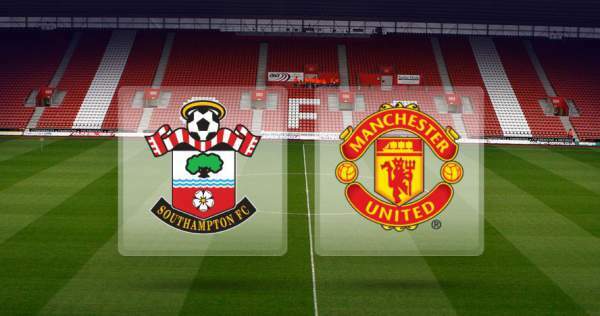 Manchester United have won 16 of the last 22 games against Southampton, losing only three. If they win today it will be their fifth victory in six games equaling a club record. Mkhitaryan have already been involved in six goals this season, one more than throughout his last campaign. Man United are in great form as of now and can win this one.